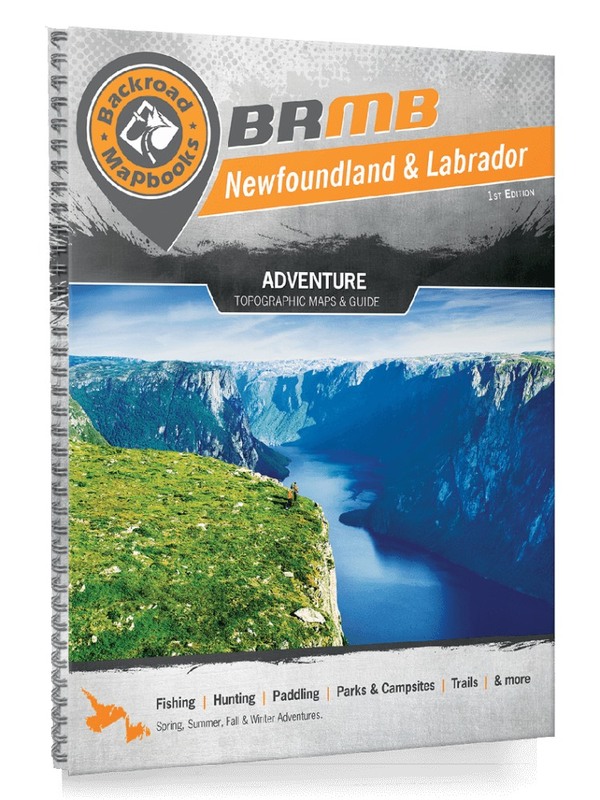 These recreation topographic maps for Newfoundland and Labrador highlight all the logging/resource roads, hunting areas, fishing lakes & streams, campsites, paddling routes for canoeing and kayaking, wildlife viewing areas, motorized trails for ATVing and snowmobiling, multi-use trails for hiking, mountain biking, backcountry skiing & more. Featuring 76 maps in total, this Mapbook covers 734,100 km2 (283,400 mi2). Maps 1-63 are 1:250,000 scale, while maps 64-76 are 1:1,000,000 scale. Special features include countless roads, trails and recreational Points of Interest. Included on these maps are Bay Roberts, Barachois Pond, Blow Me Down Provincial Park, Conception Bay South, Corner Brook, Gander, Grand Falls-Windsor, Gros Morne, Gulf of St. Lawrence, Happy Valley-Goose Bay, Labrador City, Mount Pearl, Paradise, Stephenville, Terra Nova National Park, Torngat Mountains, St. John’s and more!